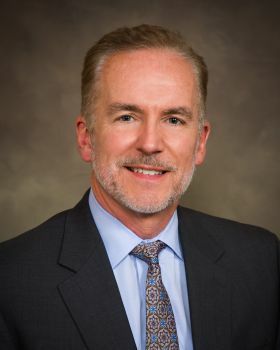 Reid Health President/CEO Craig Kinyon will be presented an honorary degree from Indiana University at the IU East commencement May 10, university officials have announced. Kinyon has served on the Reid Health team since 1995 and as CEO since 2008. He has “embraced the partnership between IU East and the health system” and serves the region in numerous ways, said Kathy Cruz-Uribe, IUE Chancellor. The Honorary Doctor of Humane Letter will be presented by Indiana University President Michael A. McRobbie. “Craig Kinyon continues to be a vital community leader through his service to education, his tireless dedication to tackling the challenge of improving health and a willingness to serve with many hats,” she said. Cruz-Uribe notes Kinyon has worked to strengthen the partnership with IU East, offering numerous internships, medical training programs and providing input resulting in expansion of programs such as IU East’s new Family Nurse Practitioner training track. A significant partnership he helped establish was the 2011 launch of a medical clerkship program, allowing IU medical students to complete their third and fourth-year required clinical clerkships at Reid and IU East. Nominators for the degree cited Kinyon’s involvement in battling the regional opioid crisis, including having Reid Health and its team members be the catalyst to launch “Heroin is Here,” an ongoing partnership of leaders in community education, health, business, law enforcement, addiction treatment, and government. Richmond Mayor Dave Snow cited Kinyon’s involvement in economic development, noting his efforts have helped to successfully promote the city and attract new employers. Kinyon is known for his passion for wellness and population health. He has expanded availability of affordable health screenings, increased staff dedicated to recruiting caregivers to the region and pushed community education about proactive wellness. Cruz-Uribe also noted his support for various IU East projects, such as the Student Events and Activities Center and the purchase of simulation equipment for the nursing program. He is an active member of the IU East Board of Advisors. Kinyon serves on the Vizient Central board as chair, Preble County Development Partnership board as treasurer and he is vice president of the Crossroads Health Services Reciprocal board. He is a board member of the Earlham College Community Partnership, West End Bank, Indiana Chamber of Commerce, Eastern Indiana Workforce Development-Alliance for Strategic Growth, Forward Wayne County and the Tecumseh Health Reciprocal Risk Retention Group. He is also a member of, the American Hospital Association, Indiana Hospital Association, Indiana Rural Health Association, American Institute of CPAs and Indiana CPA Society. Kinyon has received honors for his leadership role at Reid Health, including an American Hospital Association's Grassroots Champion Award, which recognizes hospital leaders who most effectively educate elected officials on how major issues affect the hospital's vital role in the community. More recently, he received the Indiana Hospital Association’s Distinguished Service Award. Joining Kinyon in receiving an honorary degree at the IUE celebration will be Charlie Nelms, chancellor Emeritus of IU East, who has served in various roles for IU. He was the third chancellor of the local campus.